Published March 9, 2017 at 1920 × 1080 in Zelda Breath of the Wild Shrine Locations Map – Find & Complete all 120. You’re missing one. Test of will north of Gerudo tower and west of #2. It’s on the road. You must beat the Gut Check quest before it appears. you missed the one circled without a number on the right hand side. took me forever to find it. its circled (kinda) but its not listed. you have to stand on a big hot rock with the Goron buddys. other than that GREAT guide/ helped me find all 120 shrines. good work! 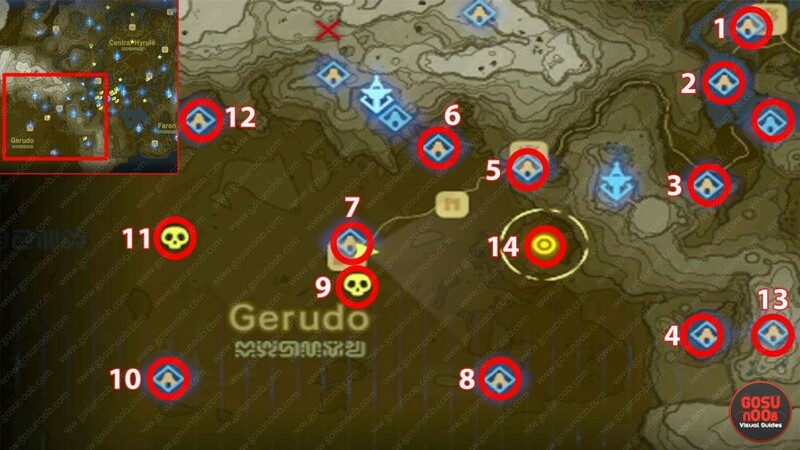 The shrine west from #2 is listed in the Gerudo Highlands section. Sorry for the inconvenience!